You might be surprised by this, but I think it’s important for you to know. The young women at LWGMS – and who graduate from LWGMS – are not special. I know, it seems like they are exceptional – and they are in fact poised, intelligent, reflective, curious, and confident. However, they are in so many ways just like their classmates. They are like the L-Dub girls who came before them and the ones walking the halls this school year. From age 11 to age 30, our students and alum are overwhelmingly impressive. Any one of the more than 300 L-Dub graduates will tell you about how they once were ten year olds with potential, who found themselves in a learning community that pushed and nurtured, cared and catalyzed, so that they could grow into people who are compassionate, confident, and ready to work for the greater good. Their middle school years – important because they could have been the years that squashed their tenuous adolescent selves – helped them to find their own individual strong voices and to connect with a sisterhood of other women who believe in the power of working together. Part of the reason that L-Dub graduates are doing important work – in the peace corps, in STEM fields, in politics, in the arts, in education – is their sense of agency and of justice. During their middle school years, which we know are incredibly important for identity development and values formation, they grew up. They grew into themselves. They became people who saw themselves as ones who could and should challenge the status quo. And I will stand here and tell you that this is no happy accident. This is the work we do. And why does this matter? Why is it important for LWGMS to be graduating young women who are strong in mind, body, and voice? Because there are people in our communities who need their voices. Who are afraid for their lives. For their ability to stay in this country. For their access to health care or a home. Because – let’s just put it out there – racism, sexism, homophobia, xenophobia, fear, and hatred are alive and well in the United States. And we know there is a way to make this better. What we know from study after study is that women’s participation is socially transformative. The inclusion of women in public service has a clear and profound impact on every area: policy, social issues, the economy, national security, the environment, and international relations. Essentially, everything. In addition, there is an entire body of research indicating that a more gender diverse team leads to greater innovation and greater problem solving. There is vast evidence that diversity – diversity of all kinds – produces superior thinking. And without diverse leadership – as in: without women and people of color in visible leadership positions – innovation simply suffers. In organizations without diverse leadership, women are 20% less likely than straight white cis men to win endorsement for their ideas; people of color are 24% less likely; and LGBTQ people are 21% less likely. In a company, this costs crucial market opportunities. In a government, it costs equity and social justice. I know from first-hand experience that it is possible to envision a world where the voices of girls and women are not just present, not just included, but valued. 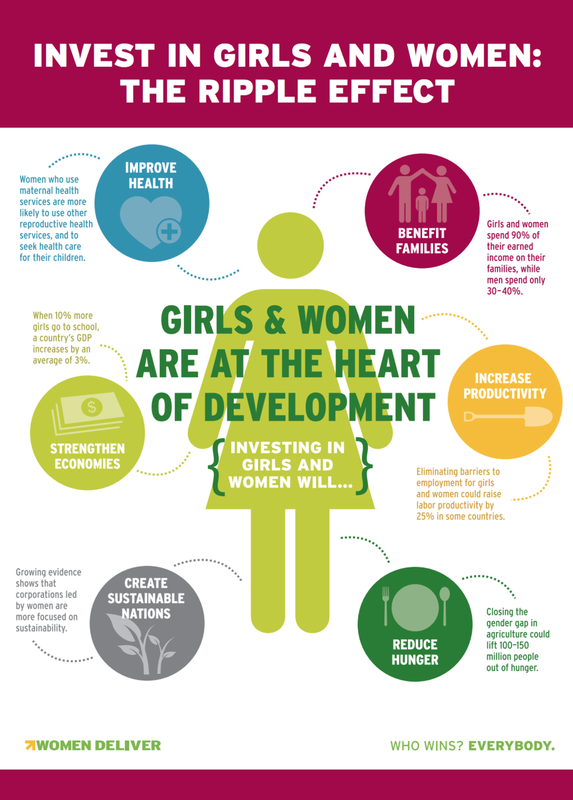 Where girls and women see themselves as people who belong – who can lead, who can make change. Where the representation of girls and women allows them to see what they can be and where they learn to go around, over or, through barriers in their path. So that we can accelerate the path to parity. I know that L-Dub girls, the young women we work with every day – who go on to high schools and universities and workplaces – bring with them the action and activism they embraced here. They bring the Feminist Convention to Franklin High School and feminist issues to the White House. I am proud of the individual successes of our graduates, but I am far more moved by the collective spirit they bring with them to the communities they inhabit. They bring compassion, courage, creativity, and kindness. Our alum are not exceptional, actually. They are are a lot like the 109 students who are at school today, who are taking risks, standing up, speaking out. As you walk down the halls of LWGMS, you will see all kinds of girls. You will see a mix of introverts and extroverts, athletes and bookworms, robotics programmers and glee club singers – and they all know that each of them can be any or all of those. They come from a wide range of neighborhoods, schools, cultures, family configurations, and socio-economic backgrounds. Indeed, LWGMS is one of the most diverse independent schools in Seattle, and we have been so since we opened our doors in 1998. Our diversity and commitment to social justice mean that every opportunity here is for every girl. 100% of our students go on outdoor trips. 100% study martial arts, 100% sing, dance, and act in a play, 100% defend their academic research to an expert judge, and 100% speak in front of crowds of hundreds. That’s every L-Dub girl, every year. This is why we need to stay committed to supporting LWGMS – to providing those opportunities. So that girls can see themselves as anything they want to be, so that they can break those barriers that may lie ahead. Thank you for supporting not just our students, but the innovation and compassion they bring with them when they leave here. Thank you for believing that the world can be better, and that girls and women – and the systemic change they can put in place – will make it so. Research on the gap between men and women in STEM fields points to the scarcity of readily available role models for girls as they consider STEM careers. The lack of female role models reinforces some negative stereotypes held by girls and young women about STEM fields, and as girls begin to consider high school classes, college majors, and career paths, STEM fields are not reinforced by respected role models for them. It’s been noted that the “male geek” stereotype about computer scientists actively dissuades women from considering the field. At LWGMS, we aim to expose our students to a wide variety of women role-models and mentors in STEM fields...to ensure that every girl has the potential to find a role-model or mentor with whom she connects. STEAM Café welcomed Cheryl Greengrove, Associate Professor of Geoscience in Interdisciplinary Arts & Sciences at University of Washington Tacoma (UW Tacoma) and a founding faculty member of the Environmental Science Program at UW Tacoma. Ms. Greengrove is a physical oceanographer presently working with biological, chemical and geological oceanographers on studying harmful algal blooms in Puget Sound and estuarine processes in Barkley and Clayoquot Sounds on the west coast of Vancouver Island. Her favorite activity is taking her students in the field and involving them in hands-on research. Students have been working with circuits in STEAM. Explain how energy transfers from a battery’s chemical energy into electricity. Explain how to create a simple circuit. Explain how to create a parallel circuit. Explain how to create a switch. Woman-in-STEM Tarah Wheeler – Hacker | Founder | Security Researcher | Speaker | Mentor | Advisor | Scientist | Author | CEO – speaking to the student body about What It's Like To Be A Hacker on Pi Day! Thank you to Mr. E for connecting Ms. Wheeler to the school! STEAM Café welcomed Energy Manager and Principal of sustainability consulting firm Putnam Price, Cynthia Putnam. Cynthia provides advice to owners of large buildings such as schools and offices about ways they can make their buildings more environmentally friendly, energy and resource efficient. Her message for our students was "If you care about protecting the natural environment, my profession will give you opportunities to work with building scientists, engineers, and policy makers to make our buildings work better for the occupants and reduce their impact on the environment." Computer Guts students spent some time learning DOS operating system and commands with Mr. Zarker (Ms. Christine's dad and on of her science and tech role models and champions)! fairly simple one, which first appeared in 1981 on the IBM PC. The interface was what we call a command line interface, meaning that there was no mouse, no menus, or any graphical components. Text commands were entered from the keyboard, and the computer’s response appeared as text on the monitor. DOS controlled some aspects of the computer hardware, particularly disk access and basic CPU operations, but it was still common to need to configure the video display, sound card, printer, etc. for each application that would use them. DOS was a single-tasking operating system, which meant that only one program could be run at a time. We were honored to welcome guest speaker Danielle Feinberg, Director of Photography at Pixar, to L-Dub! Ms. Feinberg spoke to the girls (and many family members who joined us) about her work, which blends art and science. That's right: STEAM is her profession! Throughout the presentation, Ms. Feinberg drove home the idea of following your own voice and setting your own path. She mentioned how following her interests and not following the pack has led her to Pixar - where she's now been for 19 years, working on films such as Wall•E, Brave, Finding Nemo, A Bug’s Life, Toy Story 2, Monsters, Inc., and The Incredibles, Lifted, and Ratatouille. 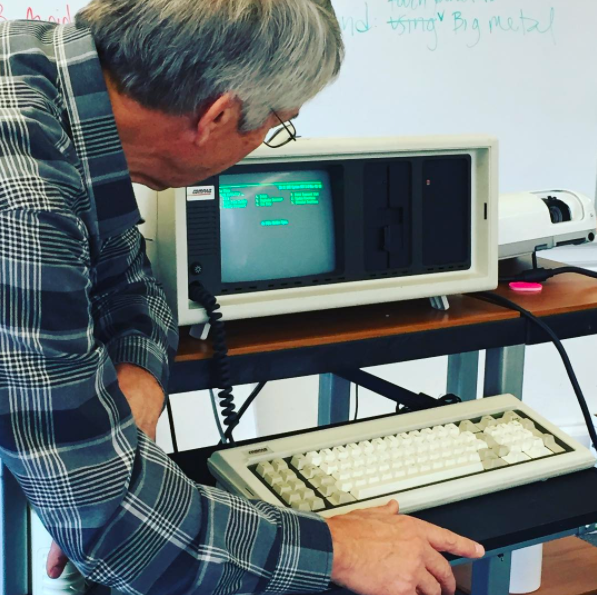 Coding at L-Dub program introduces students to the basics of programming. They work on "thinking like a programmer," concepts of algorithms, controlling a computer from the command line, and creating basic programs and scripts. Here, teams were challenged to access a remote server (the raspberry pi), log in, and then figure out the commands to control a light. Instrument Engineer Dana Manalang spoke with L-Dub students about her work building instruments to explore the deep waters and shifting tectonic plates of the North Pacific Ocean. Girlpreneurs from 2016 Startup Weekend Girls win an opportunity to attend the Seattle Interactive Conference and teach conference goers a little bit about the L-Dub brand of empowering girls in tech. 1. Take a picture with an L-Dub Locker Lady...and tweet it. Locker Ladies are are women who have blazed paths for our students – we lovingly name our lockers after them – and will have life size cutouts of the busts of Grace Hopper and Mae Jemison for visitors to cozy up with...and snap photos with. 3. Play Match the Great-Woman-in-STEAM Quotes. We'll have 2-3 small posters of rad women and an equally rad quote for visitors to match up. Our students know all about these women (naturally!) and will teach our visitors about them. 4. Connect us with a woman in tech. We're looking for role models for our girls, and SIC participants, we are sure, will have many connections for us! Mela '16 had a great time with her first VR experience at the Seattle Interactive Conference! Just another day in sixth grade science modeling the Earth's atmosphere. STEAM Café welcomed GeekGirlCon's Board Secretary and biotechnologist I-Wei Feng. Ms. Feng was born and raised in sub-tropical Taiwan; her family relocated to New Jersey so she could have better opportunities to enjoy glorious American entertainment such as Dirty Dancing and Star Trek: The Next Generation. After high school, she departed for the sunnier climes of California to attend University of California, San Diego, it was during this time when I-Wei first let her Trekkie flag proudly fly as a channel op on the #startrek EFnet IRC channel. But alas, after 16 years in San Diego, Seattle’s vibrant geek culture was ultimately the perfect fit for I-Wei. Professionally, I-Wei is a biologist in the biotechnology/pharmaceutical industry developing therapeutics for cancer and infectious disease. In her spare time, she enjoys cooking, gardening, making music, and watching Agent Carter/Naked and Afraid/Game of Thrones/Walking Dead/ST:TNG reruns. LWGMS’s STEAM Department hosts times for students to meet with female STEM leaders during their lunch period once a month to learn about their research and/or work! STEAM Cafés are opportunities to open our students' minds to new careers and introduce them to STEM role models. In 2016/2017 – the first year of the STEAM Café – our students learned from role models such as Riley Andert, Parul Christian, Amie Patao, Cynthia Putnam, Cheryl Greengrove, I-Wei Feng, and Dana Manalang to name a few – that many of them are trying hard to encourage others into their fields, taking on leadership positions, and trying hard to inspire fellow and future scientists. For our students to have faces, names, and biographies to aspire to was truly inspiring.We are currently accepting nominations and registrations for LWGMS STEAM Café presenters! Today our seventh grade students are attending the Women Fly Conference at the Museum of Flight (@museumofflight)! This annual event is for kids interested in aviation, aerospace, and STEM futures, and they spend the day participating in motivational and career-oriented activities that will allow them to meet and learn from professional women working in a variety of STEM careers! Here are some of our girls coding with Alaska Airlines programmers! The Fuerza Fund turns individual gifts of all sizes into a collective pool of support for every aspect of an LWGMS education. Every dollar is used to ensure that LWGMS is financially accessible to a qualified and diverse student body, recruits and retains an exceptional faculty, supports broad curricular and co-curricular programs, and provides and maintains the facilities possible to support academics, the arts, and athletics. 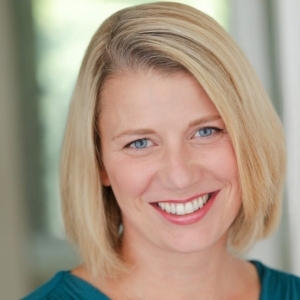 The Cary Wyatt McRae Memorial Fund was established when we lost our beloved friend and “school mom,” Cary McRae. The money raised for this scholarship enhances our financial aid budget to enable all girls admitted to attend LWGMS regardless of their family’s financial situation. This was a core value for Cary, and we are grateful to continue her legacy. Thank you to the following people who donated to the Scholarship Fund, through the Annual Fund and/or at the Annual Gala. You enabled us to support our community members receiving need-based financial aid. 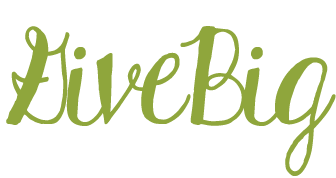 LWGMS was honored to participate in the seventh annual GiveBig! event, sponsored by the Seattle Foundation. 1,700 nonprofits participated in the event and donors raised $19 million for local nonprofits, representing eight categories of the Seattle Foundation Healthy Community Framework – arts and culture, basic needs, economic opportunity, education, environment, health & wellness, vibrant communities, and global giving. Lake Washington Girls Middle School was the grateful recipient of 25 gifts totaling $2,700, with a stretch grant from the Seattle Foundation of $500. Thank you for giving on this exciting day. We are so appreciative! #GivingTuesday is a global celebration of giving fueled by the power of social media and collaboration – a new tradition of generosity. On November 28, 2017, 14 L-Dub supporters used this day to make their Fuerza Fund donations, totaling $3,743. As always, we are humbled by the love and support of our community. Thank you. We are pleased to have received donations from the following corporations and foundations 2016-17. Thank you to our donors who initiated these donations. We are grateful for the many gifts – of time, effort, and enthusiasm – our supporters bring us on a daily basis, and to the following people for donations of in-kind necessities...and things to break apart in STEAM class. 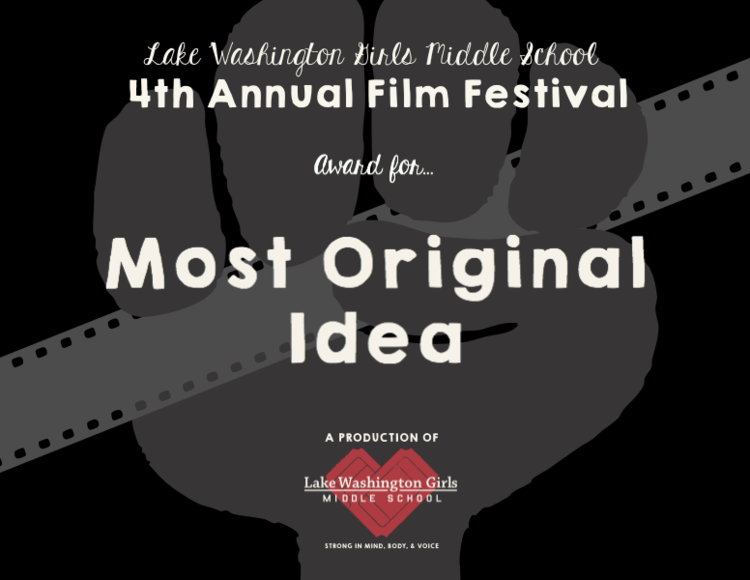 The Fourth Annual LWGMS Film Festival highlights social justice films made by the Class of 2017. As part of the Walls to Bridges program, each eighth grader worked with her classmates to agree on a topic, generate a thesis, create a storyboard, integrate interviews, videos, and still photos, and edit a five-minute film that inspires its audience to act, to think, and to discuss important issues facing our country and the world. The students’ film topics include explorations of stereotypes, gender roles, feminism, Islamophobia, racism, the Dakota Access Pipeline, and gun control. Through the Walls to Bridges workshops and classes on privilege, allyship, and activism, the eighth grade have explored some tough topics, and the films reflect their willingness and courage to identify problems and seek solutions. Using film as a medium for social change, students have worked hard to create passionate and creative films that inspire us all to see things differently, to challenge old ideas, and to take action. Thanks to the generosity of the Alhadeff family, films were shown on the big screen at Broadway Performance Hall. Thank you for dashing for dessert, tossing for wine, taking a chance in a raffle, and raising your paddle high for the Fund-a-Need! Inspired by larger than life photos, an original slam poem, words of hope and wisdom from an alum and our Head of School, our community raised an unprecedented $195,000 for tuition assistance! The LWGMS Annual Fund is powered by current L-Dub families, faculty and staff, the Board of Trustees, our alumnae community, and our loyal friends. These partnerships – and the resources they share – help us to offer a program that cultivates confidence, intellectual curiosity, and a call to social action. Our students graduate prepared for high school, ready to lead, motivated to make change, and above all things, to stand up for what's right. It is a powerful and rewarding time to be a supporter of L-Dub. Your gifts help our students become LIFE READY.